There are three big challenges for digital health services in 2017. We explore each of these of these in turn and highlight how we've tried to address them through the development of Lenus, a new digital health platform. In a previous post we highlighted the wealth of knowledge and research already available from academic studies that support the case for using digital technologies to deliver new services that improve health outcomes for patients. It states that a key challenge for healthcare industry now is to apply this knowledge effectively in the form of new digitally enabled health services. 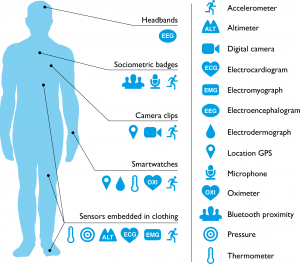 Using connected devices and hardware, it is now possible to measure almost every part of human physiology. 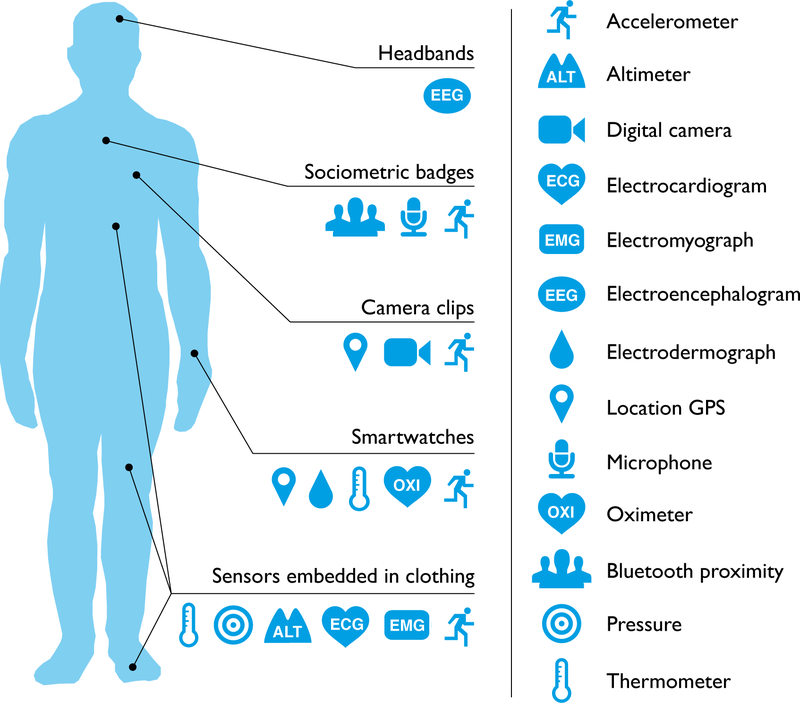 The range of wearable technologies has continued to expand over the last few years with sensors in our shoes, clothing and even ears. Wearable technology that gathers real time data on physiology of individuals is expanding to a more general “sensorification” of the physical world. The connected home is a by product of this trend with the likes of Alexa and Hive becoming popular. Many organisations are also now seeing the value of IoT to help support social care delivery. 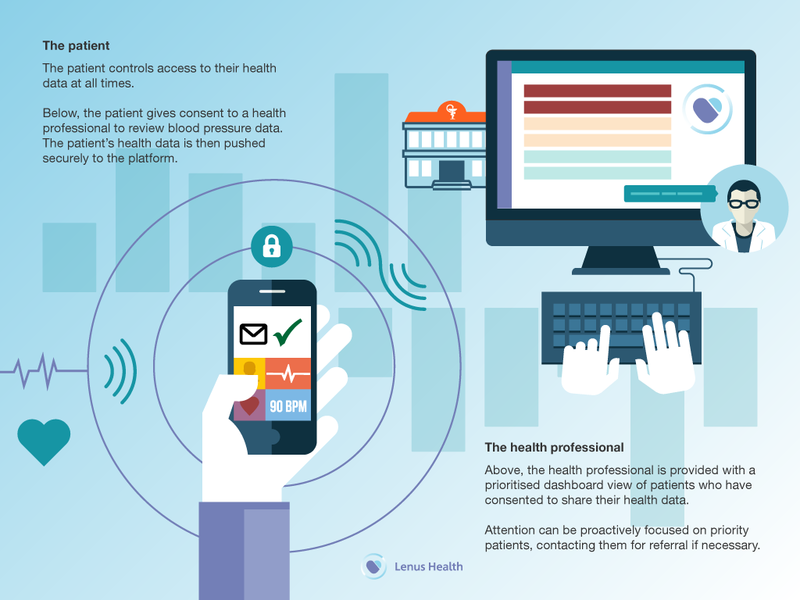 It is clear that connected hardware and sensors can help transform the delivery of health and social care services to become more continuous and preventative rather than episodic and reactive. In this post, we will highlight the some of the problems we have encountered when operationalising and scaling these new type of services across the UK health service. In the following section, we explore each of these challenges in turn and highlight how we have tried to address these challenges through the development of Lenus – a new digital health platform. Many of the current solutions attempt to bridge web based systems that generate patient data with internal healthcare systems. This approach is an incremental step and results in unnecessary development effort in trying to connect data captured by patients on digital devices to internal healthcare systems behind firewalls. The friction this approach generates makes it more difficult to develop digital services that rely on the seamless transfer of data in real time. It also entrenches the status quo by requiring investment to upgrade legacy internal systems to accept this type of data and cope with the increase in load. We believe that the solution to this problem lies in digital health platforms. At Storm, we have therefore worked over the last year to develop Lenus, using the infrastructure and security services available from Microsoft Azure. Lenus offers the requisite digital plumbing to connect patient data with healthcare professionals and is designed to be open in order to support an eco-system of digital health services. The value of a digital health platform is only realised through the development of new services that leverage its capabilities. Moreover, sharing health measurements collected on digital devices with a clinician does not in itself offer much value. Services need to be designed that both leverage the data but also meet the needs and fit with the workflow of health professionals. The Lenus platform adopts an API first approach that enables the end to end transport of data between services and the platform. This architecture provides flexibility to developers to enable them to create new services that meet user needs but also offers a framework that enforces standards in relation to data transport, storage and user identity. To demonstrate the platform capabilities we have used the APIs to create three well-being services that support self-management of high blood pressure, diabetes and asthma and help reduce demand for face to face consultations in both primary and secondary care. The services constitute three mobile apps for patients that capture and visualise data received from connected hardware devices relating to the different conditions and, using the Lenus platform, shares this data with a web application designed to aggregate the data and augment it with appropriate workflow and actions for healthcare professionals. The introduction of these types of services will generate a huge amount of data. As such it will be important for services to translate the data streams into knowledge and actionable insight. Health professionals will quite rightly balk at being exposed to a firehose of real time data from a multitude of different devices. You are unlikely to find a cardiologist who wants to take responsibility for monitoring a stream of ECGs from a group of patients 24hrs a day. As such, services will increasingly need to use algorithms and machine learning, guided by transparent clinical guidelines, to monitor the data streams, apply rules and offer actionable insight to health professionals. 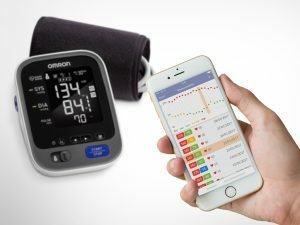 Increasingly, these services will become more sophisticated and will start to check and parse the data generated to help identify trends and alert both the patient and the health professional much earlier. For example a recent challenge on Kaggle has shown how neural networks can be used to automatically detect lung cancer in chest cavity images. Stanford have recently used similar techniques to automatically identify skin cancer in images. While we may be some way from full automation it is clear that digital services combined with machine learning can deliver a more efficient triage process and in turn augment the capability of health professionals. We believe that the three big challenges for digital health can be met with digital health platforms such as Lenus. As demonstrated in this article, the platform’s API first, cloud based solution will allow the creation of new digitally enabled service delivery models that will enhance the capability of health and social care professionals. If you are interested in deploying Lenus or connecting your app or service to the platform, please get in touch .